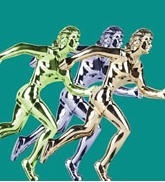 Get your nominations in fast for this year’s Prowess Awards recognising women in business and those that support them. If you know someone who is supporting, inspiring or paving the way for women to start and grow their own business, then you’ve got a week to nominate them for this year’s Prowess Awards. There are 10 different award categories this year ranging from Inspirational Woman and Inspirational Business Mum through to Innovator and Female Business Mentor of the year. The closing date for entries is Friday 11 April. Winners will be announced at an award ceremony and lunch on 6th June in Birmingham.